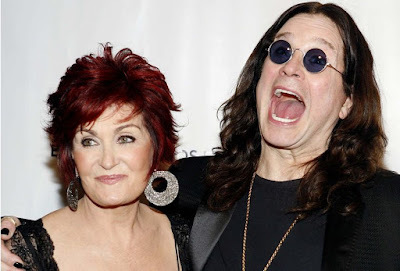 MetalRockNews: Sharon Osbourne: "I caught two nannies in bed with Ozzy"
Sharon Osbourne: "I caught two nannies in bed with Ozzy"
Ozzy Osbourne's wife Sharon Osbourne was recently interviewed by "The Talk", you can read some excerpts below. She said that had caught Ozzy in bed with a couple of nannies in the past: "We used to have four nannies, because I had three children. I would work five days a week, I would travel. They were all wanting to be celebrities. They were all wanting money… I caught two of them in bed with Ozzy!" She clarified that she had caught the two nannies in compromising positions with Ozzy at "different times," adding that Ozzy was "out of his mind on drugs at the time." Sharon said she finally hired a "manny" named "Big Dave," concluding, "Never trust a nanny!"